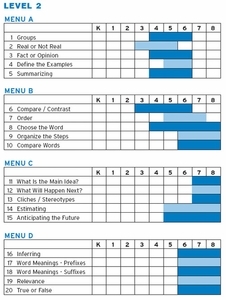 The 2nd program in the "Reading and Critical Thinking" Series presents more advanced reading comprehension skills and critical thinking concepts than the Level 1 program. 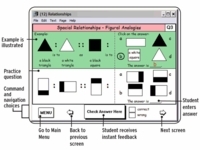 Please scroll down to view sample screens. Click on each image to enlarge for better viewing. 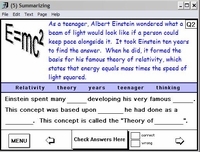 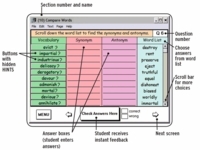 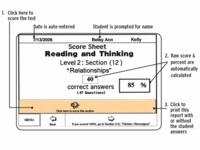 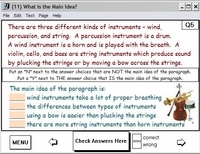 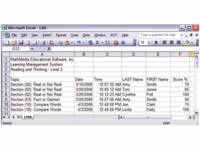 Purchase this level 2 reading comprehension software as a CD or download.